Another important change in the new Lutris 0.5.0 release is the addition of GOG support, which allows users to sign-in to their account, and import games and download the game files automatically during the installation. Re-architecture the process monitor. This fixes issues with games exiting prematurely. Multiple games can now be launched at the same time without losing control over the first game. New install_cab_component installer command for Media Foundation based games. Add a download cache to re-use files between installations. To use the cache, open the Preferences window and set the Cache Path to a valid destination. This is compatible with GOG games. Add a FPS limiter option when libstrangle is available. 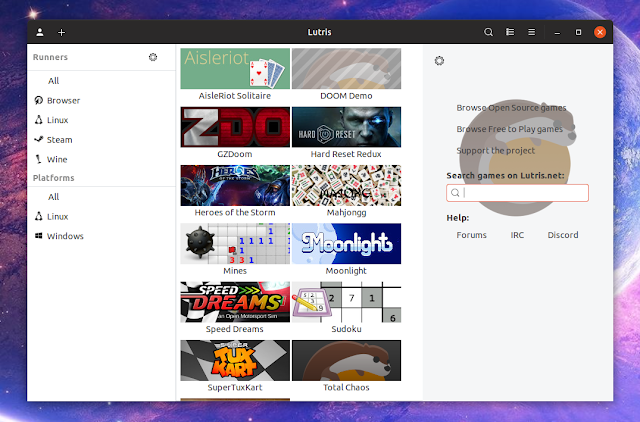 As a side note, Lutris 0.5.0.1 was released since the 0.5.0 version came out, fixing some issues / crashes. 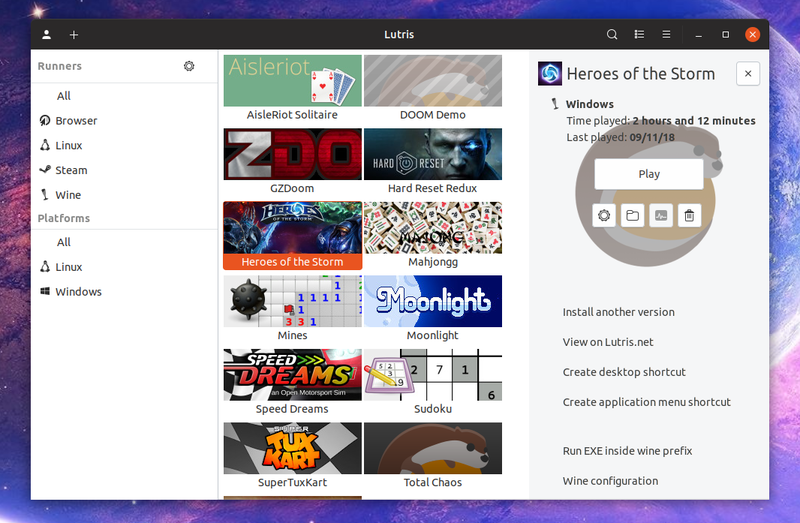 Also check out: How To Use Lutris To Play Windows Games On Linux (Quick Start Guide), updated with the Lutris 0.5.0 functionality. 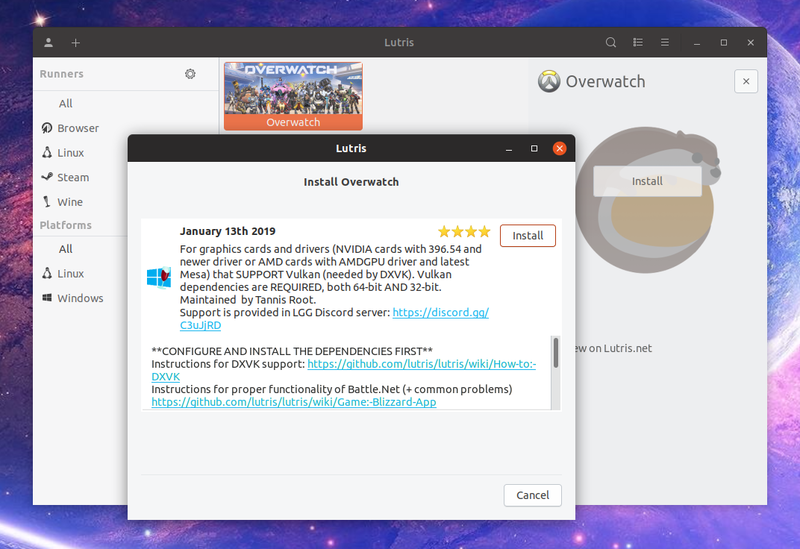 The Lutris downloads page includes instructions for how to add its official repositories (available for a large number of Linux distributions, including Ubuntu, Debian, Linux Mint, Fedora, openSUSE, Arch Linux, and more).